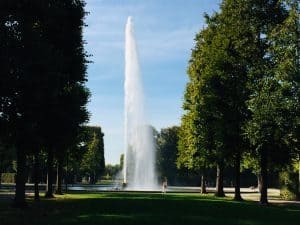 You won’t be in Hannover long before realising it’s an incredibly green city – there are parks and lakes galore as well as a 1,600 acre forest to amble around. 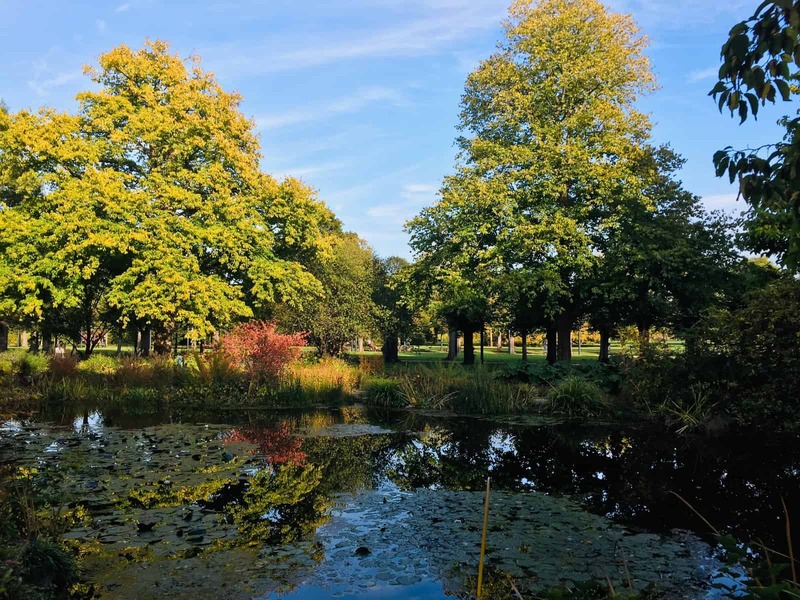 And although it’s true that the rebuilding of large swathes of the city centre after the World War II Allied bombings focused more on functionality than attractiveness, the city retains an abundance of green open spaces. There really are pockets of beauty to soak up. 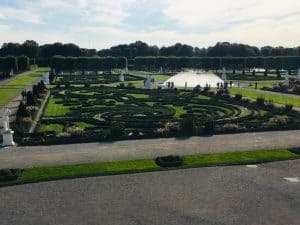 This is certainly the case with Herrenhausen and its wonderful gardens. 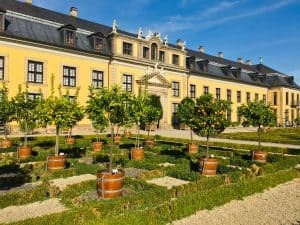 They are definitely worth a visit on a short trip to Hannover. 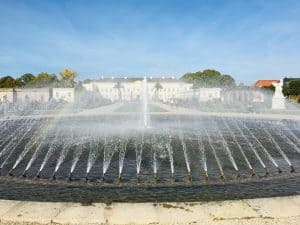 One of the city’s most visited attractions, Herrenhausen’s gardens are actually Royal gardens; the centrepiece – the Grosser Garten – was created and built for the city’s Electress Sophie (mother to King George I of Great Britain) in 1630. 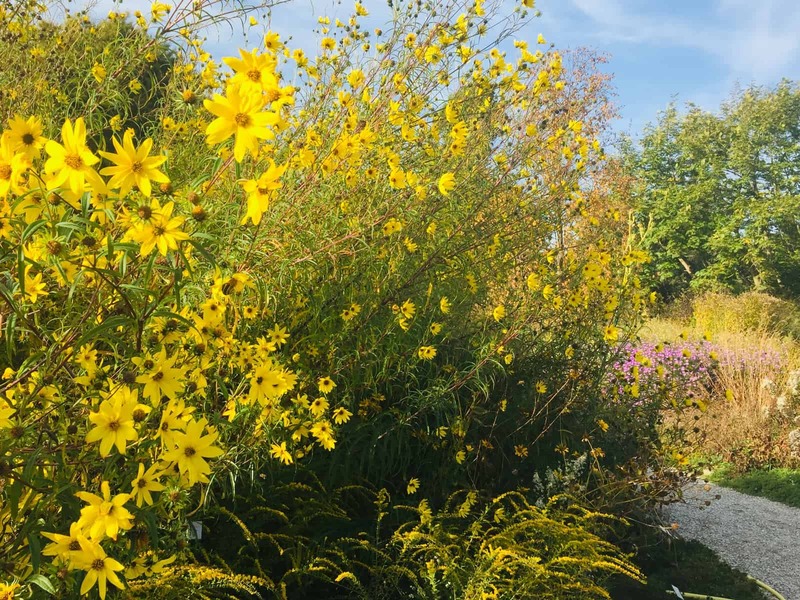 But there’s more than just the Grosser Garten to explore – there’s also the Berggarten, a large, colourful and wild botanic collection of flowers and plants, and the Georgengarten, modelled on an English landscape garden. The gardens cover a vast area – they span 135 hectares – and so if you’re in Hannover with little time to spare, I’d suggest you focus on only two: I chose the Grosser Garten and Berggarten, and was glad that I did – they couldn’t be more different so you get a really good contrast in your experience. This is utterly stunning. 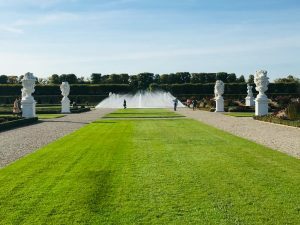 Originally designed to be a pleasure garden, once Elector Ernst August came to rule, his wife Sophie oversaw the design of the entire area. Taking inspiration from some of her travels to Italy and France, she ordered new trees and plants from far and wide. 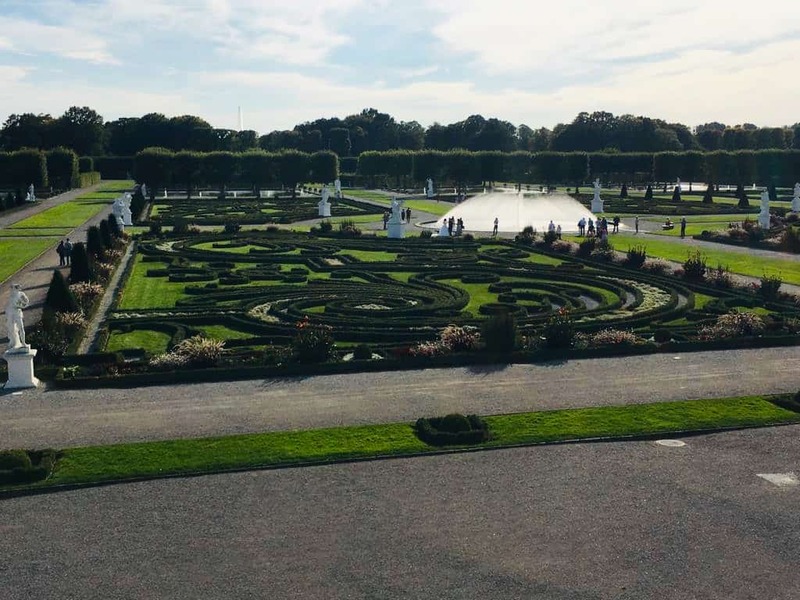 Over time, the gardens, with its palace (the summer palace of the Royal House of Hannover) became important for gatherings of the rich and famous – politicians, scientists and artists – and parties and balls were hosted on the grounds. It’s not hard to imagine all of this once you step into the Grosser Garten and see what a perfect venue this would have been for open-air summer events. It really is beautiful with its colourful flower beds, neat green lawns and ornate fountains and statues. But for me, it was the garden’s layout that was most impressive with its sharp geometric patterns and symmetry: rectangular sections of lawn with swirling patterns cut into them, all divided by long pathways and with the fountains and statues placed as centre pieces or at corners. 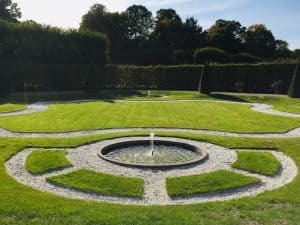 There are also some small secluded mini enclosures with summer houses and pavilions, carefully designed topiary, rose gardens, and an orangery, built a bit later, and designed to take care of some of the plants in winter. 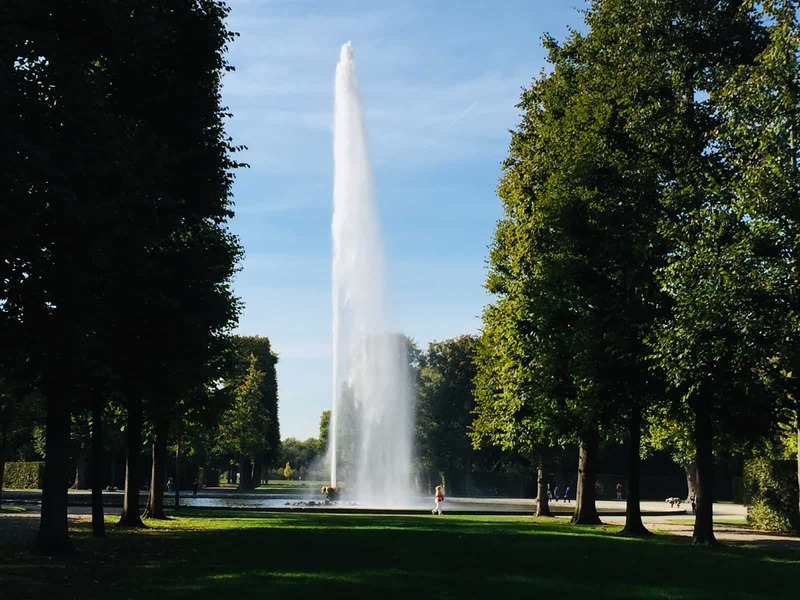 You can also see Europe’s largest fountain – the Great Fountain (on a summer day, stand a bit downwind from the 72 metre high plume and you’ll get a delightfully refreshing spray from the water!). The entire garden is immaculately pristine with seemingly nothing out of place or left to chance. The mind boggles at what the upkeep must be in terms of costs. You’ll see all of this as you wander along the leafy avenues and open spaces. 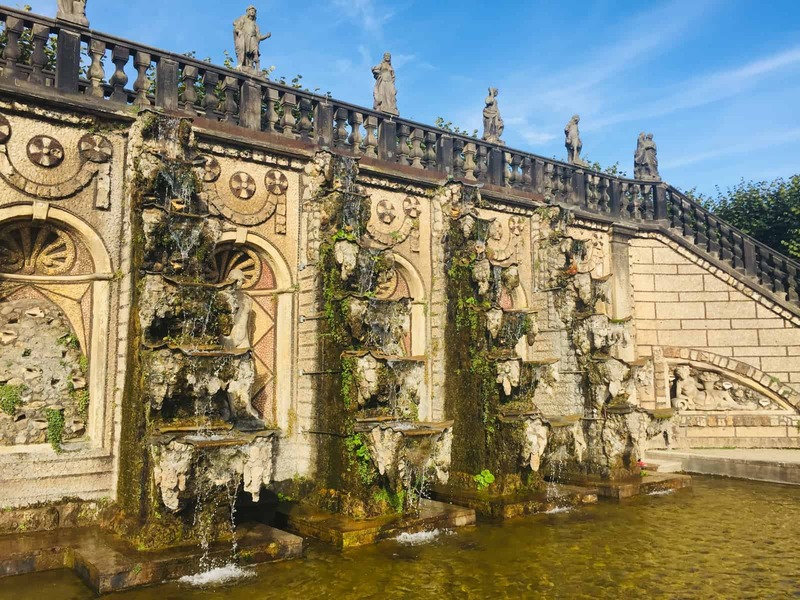 However, it’s hard to fully appreciate the garden’s design until you can look over it from one of the vantage points high up – so make sure you climb the steps by the Great Cascade fountain (the oldest structure in the garden that is pretty hard to miss as soon as you enter). 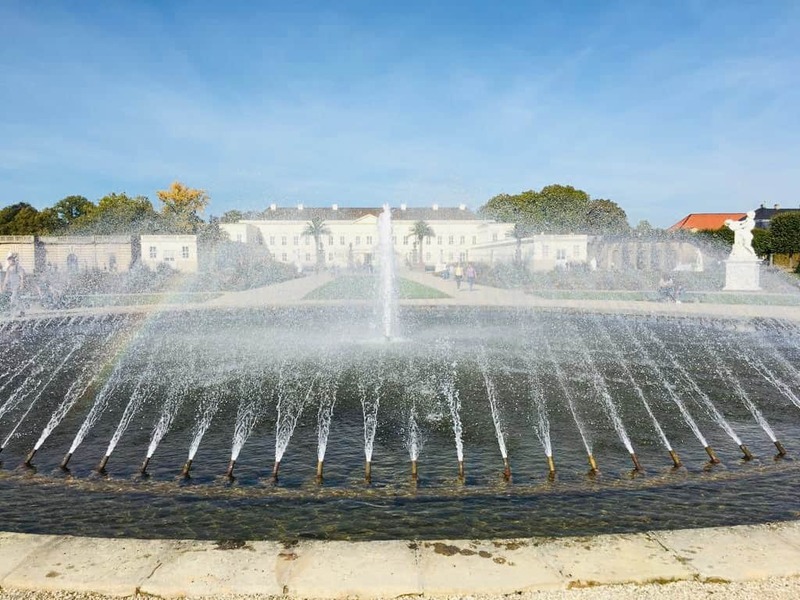 You can also see the rebuilt palace, now a congress centre, and if you have time, you should also visit the museum – it is quite small, but gives a flavour of the historical importance of Herrenhausen and the Royal family. 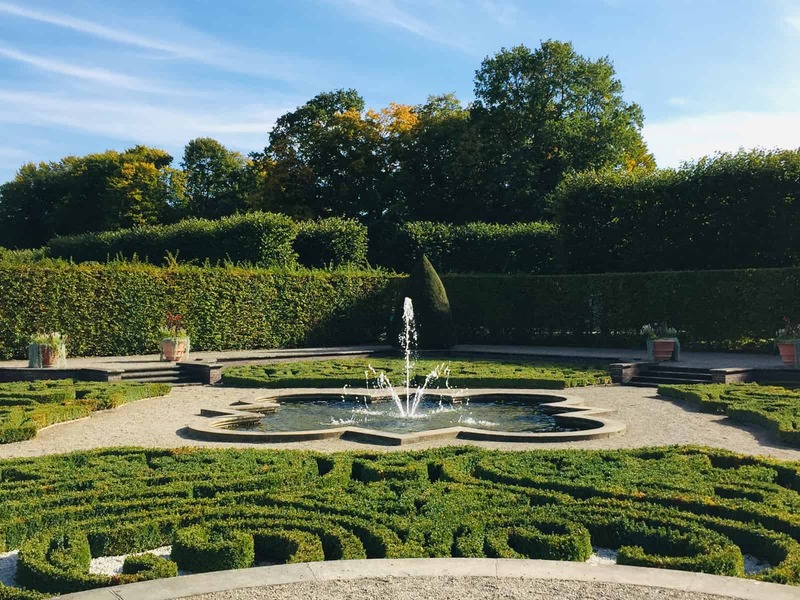 Once you’ve explored the Grosser Garten, you must cross the road to the Bergatten botanical garden, another Royal garden that dates back to 1700. 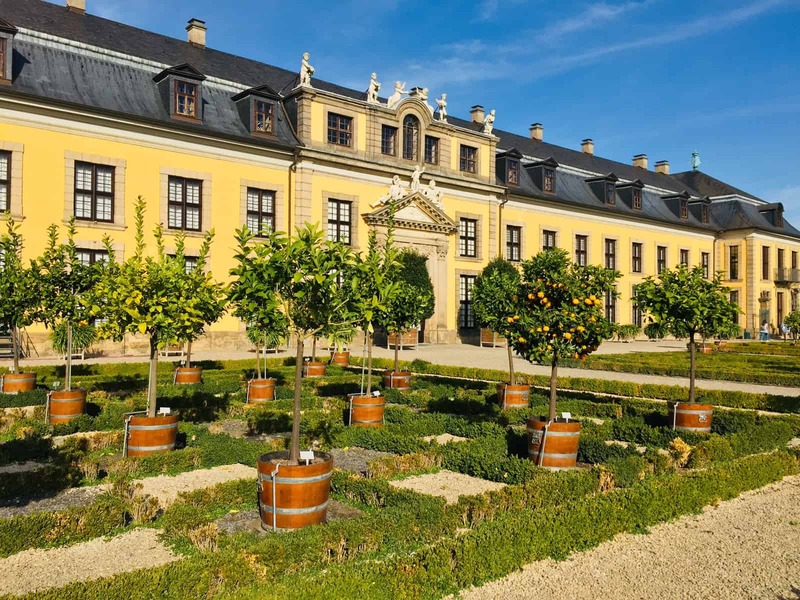 It was originally designed to be a plantation for mulberry trees for Elector Ernst August’s silkworms. However, the Royal connection is probably the only thing Berggarten has in common with the Grosser Garten. Although there are some wide open neat lawns here, and areas that are more rolling and meadow like, there are also large tracts that are wilder and overgrown, with small paths leading you around in a haphazard fashion into and out of small secluded secret places overhung by large trees. Some of the paths take you around a small lake, which appears to be completely covered with water lilies languishing on the surface of the water. 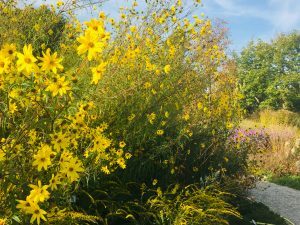 There are sections that showcase plants from different places in the world, including the Canary Islands, Japan, China, and the North American Prairies. 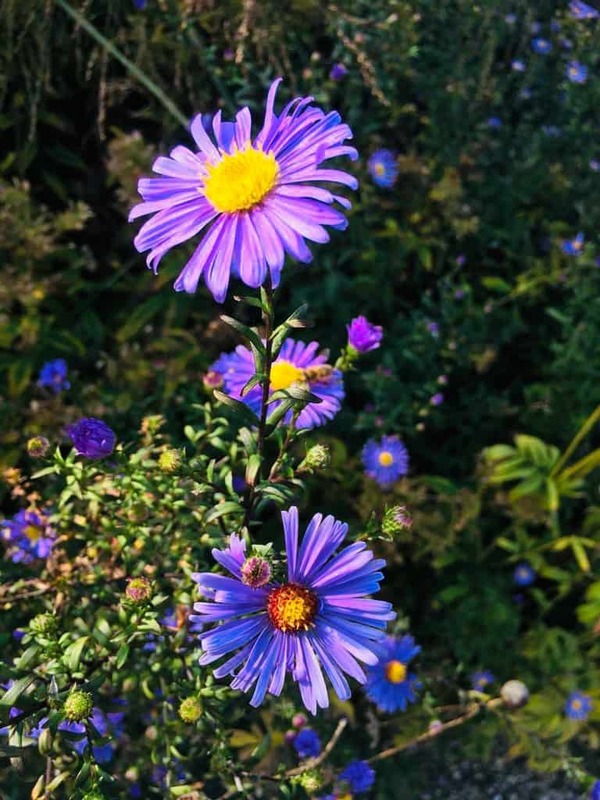 The variety of flowers, bushes and trees is extensive (there are around 12,000 different plants on display) – everywhere you walk you see different species bursting out of flower beds, little mini oases ready to cheer you up on even the greyest of days. 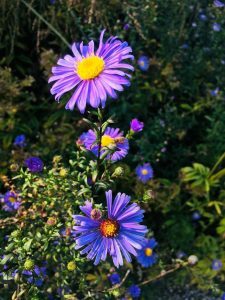 But if you do find the weather is so bad that you can’t wander in the fresh air for too long, the garden does cater for this – it has orchids, cacti and desert plants (amongst other things) undercover in glasshouses. 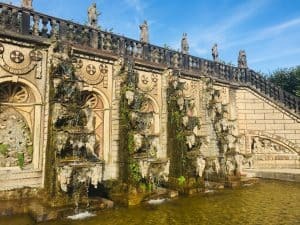 There is also a large mausoleum, housing the remains of several members of the Royal family, including King Ernst August and Electress Sophie (the public cannot enter; only family), and a more up-to-date attraction, Hannover’s Sea Life Centre. 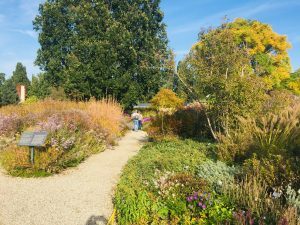 All in all, we spent a wonderful afternoon wandering through these gardens, admiring the beautiful scenery and comparing and contrasting. 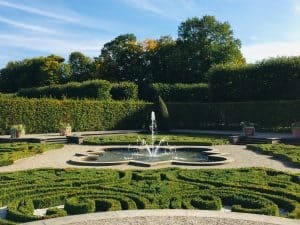 If you are in Hannover, make sure you don’t miss what the gardens have to offer. 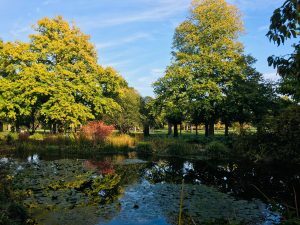 Opening hours: The Grosser Garten and Berggarten is open from 9am to 8pm during summer months (April to August); at other times of the year it shuts at nightfall. The Georgengarten is open all the time as it is a public park. Tickets: A combined ticket, allowing you access to the Grosser Garten, Berggarten and the museum is eight euros for adults, four euros for young people from 12 years (free up to 12 years). The museum is open from 11am to 6pm all week during the summer and up to 4pm during the winter (Thursday to Sunday only). 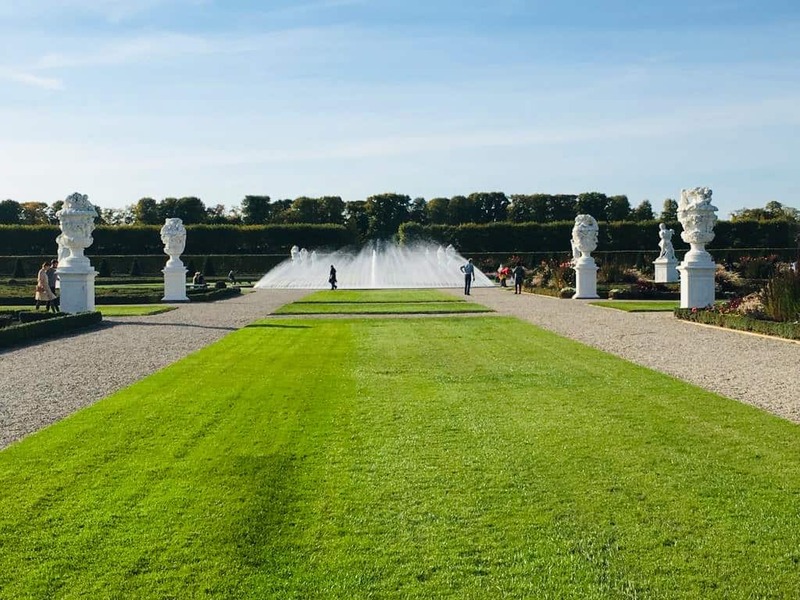 Getting there: You can reach the Herrenhausen gardens by public transport: tram lines 4 and 5 or bus number 136; the stop is right outside the gardens.